The Ulu Burun shipwreck, as it lay on the seabed, recreated in Bodrum Museum. The objects in the foreground are copper ingots. “Mystery” is a problematic term in archaeology, and often linked to the fringes of discourse. 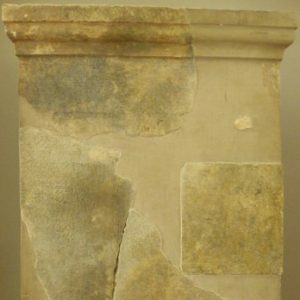 For my thoughts on this important caveat, please read the introduction to the first post in this series (about the mystery of Greek Korkyra Melaina in Croatia). 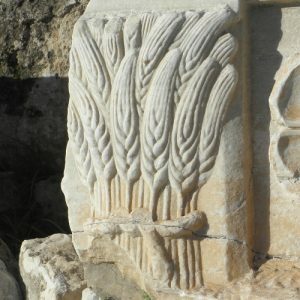 There are many mysteries in European archaeology, and they are immensely interesting, but those real mysteries are not necessarily what the “social” media will suggest. The real mysteries and the fake ones are all stories to be told: the real ones open up many new questions and wider understanding, the fake ones are static. We’re good at real stories and we’re also good at dispelling fake ones. We have great stories to tell you, about landscapes, about sites, about specific buildings and about individual artefacts in the museums we visit. Often, these stories are answers to the many questions that arise from what is considered a mystery. Sometimes, they are just explanations of why there is no easy answer. In this series, we give you six examples, one from each country we visit, of open questions: in other words, mysteries. Bodrum Castle, the 15th century stronghold of the Knights of Saint John, is now a superb museum of maritime archaeology. Mystery 2. Turkey: Where was the Ulu Burun ship headed to, and where from? The town of Bodrum is the start or end point for many of our cruises in Turkey, and occasionally of our Greek cruises. 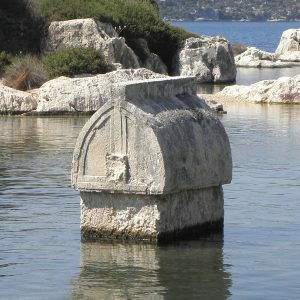 Bodrum is ancient Halicarnassus (or Halikarnassos) and fragments of the ancient city, mostly from the 4th century BC, are still visible. The most impressive monument, however, is the great Castle of the Knights of Rhodes (or Knights of Saint John), erected by the crusader order in the 15th century AD. It is a fine castle, pretty much entirely built of re-purposed stones from the famous Mausoleum (or Maussolleion) , the monumental grave of Maussolos, a 4th century BC ruler of the region, one of the Seven Wonders of the Ancient World and a mystery in many ways. All that is a story, but not the one I’m telling here. Bodrum Castle now hosts the most exceptional museum in Turkey: the Museum of Underwater Archaeology. It has come about by circumstance: Since the 1970s, American underwater archaeologists, led by George Bass, a veritable hero of the discipline, collaborated with Turkish colleagues, found interesting things, pioneered their field and desperately needed somewhere to display their findings by the 1980s. Bodrum Castle, then just a large and somewhat neglected ruin, became the venue of this effort and has since then become the world’s most important display of underwater archaeology. (It is currently undergoing major renovations and we are awaiting its reopening with bated breath, hoping that the brilliant exhibits we have shown our guests over the last two decades will be there for us to enjoy). The highlights of Bodrum’s Underwater Archaeology Museum are many, too many to list here. From our point of view they are crowned by the Ulu Burun material. We have mentioned that extraordinary find in passing before: the Ulu Burun shipwreck, found at a depth of 45-60 metres (150-200ft) off the coast of Lycia, sank around 1,310 BC. Systematically excavated in the 1980s and 1990s, it is the best-studied and most informative Bronze Age wreck so far – worldwide. The hull had mostly rotted away, so the archaeological material mostly tells us of the ship’s contents. Bronze Age copper ingots from Kato Zakro on Crete, on display in Iraklio Museum: the ones from Ulu Burun are the shame shape (mostly), but of different weight. Its principal cargo was primarily metal: over 450 copper ingots (weighing about 10 tons), mostly of the oxhide shape, and a ton’s worth of tin ingots. These would neatly combine into making 11 tons of bronze, the most advanced material available for tools and weapons at the time. That would be interesting enough, but the secondary cargo is even more astonishing: it comprises thousands of objects, among them pottery jars of various sizes and origins, raw and worked pieces of glass, of ivory, amber and semi-precious stones, jewellery of gold and silver, bronze weapons and tools, clay lamps, a wooden writing tablet, a composite metal figurine depicting a goddess and much more. Organic finds include wood, resin, grapes, almonds, olives, cumin, pomegranates, amongst others. Much of the cargo is assumed to have been destined for trade or exchange, but some of it may be the crew’s personal effects. The most important aspect of this vast array of items is the incredible diversity of its origins. While the copper is from Cyprus and the tin from somewhere in the Middle East or Anatolia (this is a mystery in itself), the other items can be traced to Egypt, the coasts of today’s Israel, Lebanon and Syria, Cyprus, Anatolia, Crete, Mainland Greece, the Lower Danube and even the Baltic Coast! It is fair to say that the discovery and study of the Ulu Burun shipwreck (together with that of other Bronze Age wrecks, especially off Turkey and Greece in recent decades) has revolutionised our understanding of Late Bronze Age trade and contacts. We knew before this recent spate of discovery that such contacts must have existed, because “exotic” or imported objects are often found on excavation sites of that era, and because the raw materials for bronze (copper and tin) are not easily available. Also, an era based on bronze must have found ways to distribute those raw materials from whatever few sources they came from, and the shipwrecks give us an otherwise unavailable direct insight into how these contacts were conducted, each of them representing a time capsule of material in use at one time. 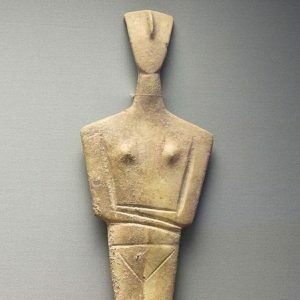 The Ulu Burun goddess. Who is she? Who worshipped her? Everything: a find like the Ulu Burun wreck certainly helps to answer some very important questions, but it invariably raises even more. Where was the ship from? Most scholars assume somewhere on the Levantine coast, but it’s difficult to prove. Where was it headed when it was lost? Considering the cargo, it was travelling east to west, so heading towards the Aegean, but where exactly? Rhodes (quite close)? Mainland Greece? Crete? Why did it sink? Did the crew survive the accident? Who were they? There are no good answers for these obvious questions. Who owned it? This is a key question and a controversial one: in a pre-monetary economy, who could afford the risk entailed in owning a ship and moving around vast quantities of valuable materials? Many scholars think that such exchanges must have been state-controlled or “royal” in nature, but we cannot be sure: our information on the social, economic and political context is simply not sufficient. What were the consequences of the major loss such a wreck must have entailed? Again, we cannot answer this, not least as such consequences must have played out somewhere entirely different from the wreck site! All of these are wonderful and inspiring questions, each of them a mystery that the Ulu Burun wreck has enabled us to ask. There is much research and scholarship ongoing, and it might answer some of these questions eventually, but some will remain open for long, and the ones that won’t will open new ones. That’s the challenge and the beauty of archaeology! Depending on the opening of Bodrum Castle, we visit the Ulu Burun wreck on many of our cruises in Turkey, and occasionally on our Greek ones.